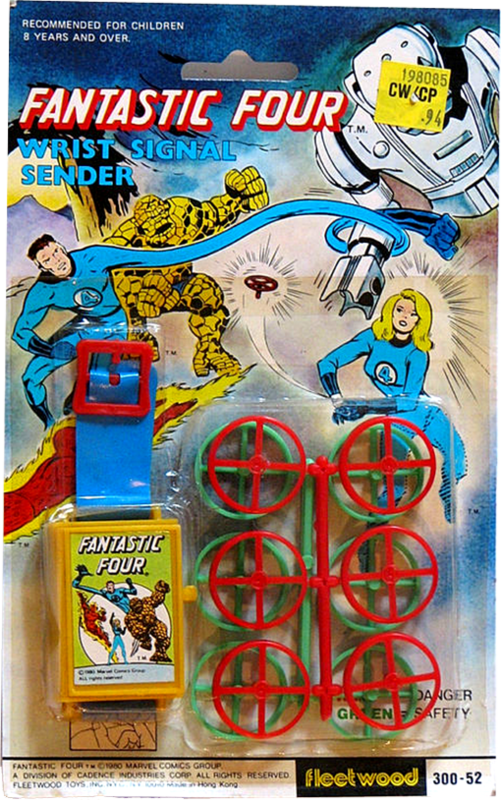 Fleetwood produced some great toys in 1980 under its license with Marvel. I'm not sure about the merits of this Fantastic Four Wrist Signal Sender for its stated purpose, but I give Fleetwood credit for a clever way to bamboozle unsuspecting parents into buying projectile weapons for their kids. At 94 cents a pop, I bet this thing flew off the shelves!